Writing a thesis this semester? Then you should know that the Thesis Writer’s Guide is choc-a-block full of veteran Bates thesis writer vetted helpful resource goodness. 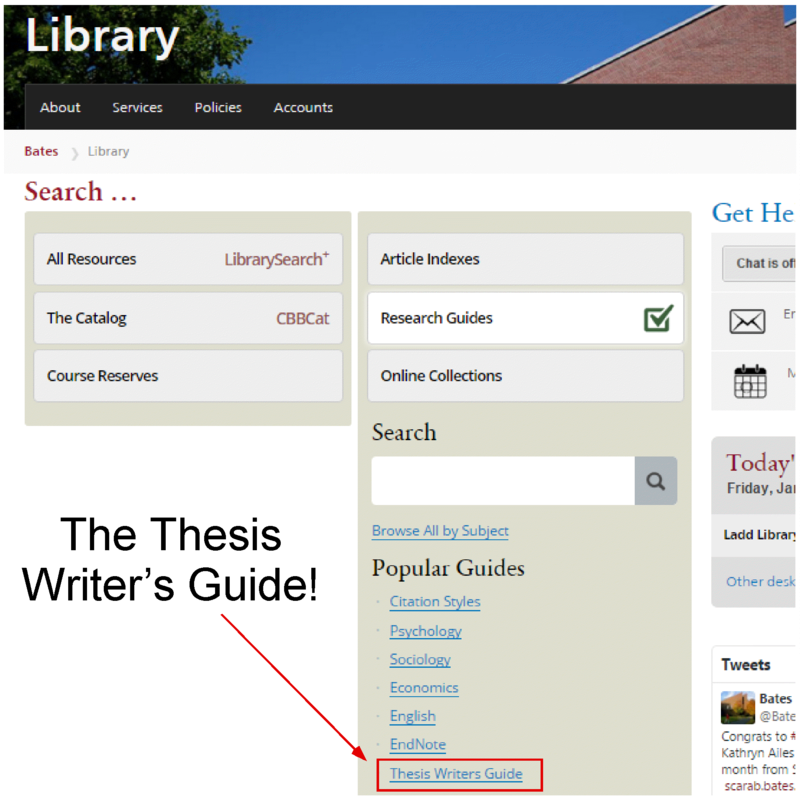 finding examples of previously submitted honors theses–looking at these is helpful for standard thesis writers, too! obtaining tricky sources–hint: contact a Research Librarian–we can get you almost anything!